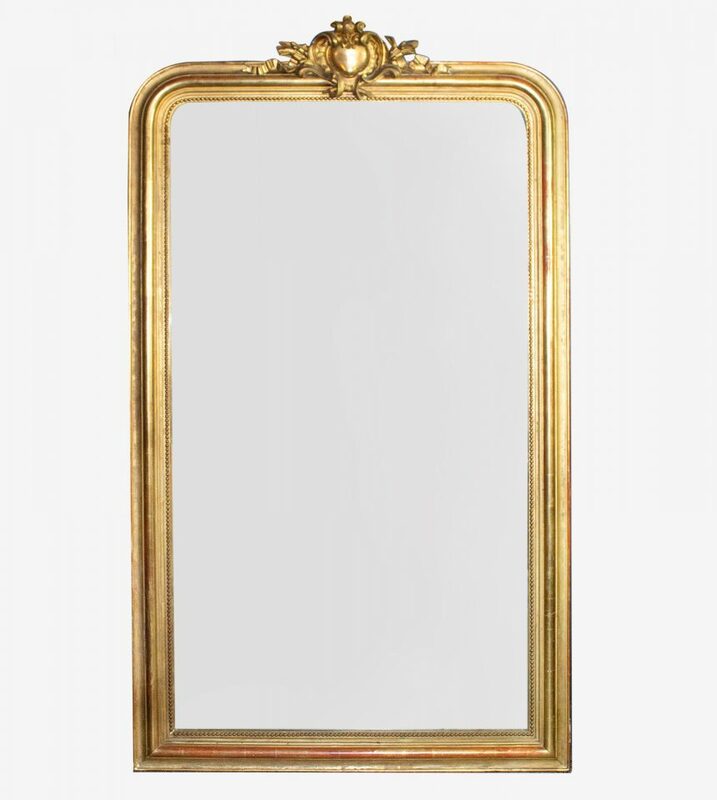 Small 19th Century antique French gold leaf gilt Louis Philippe mirror. 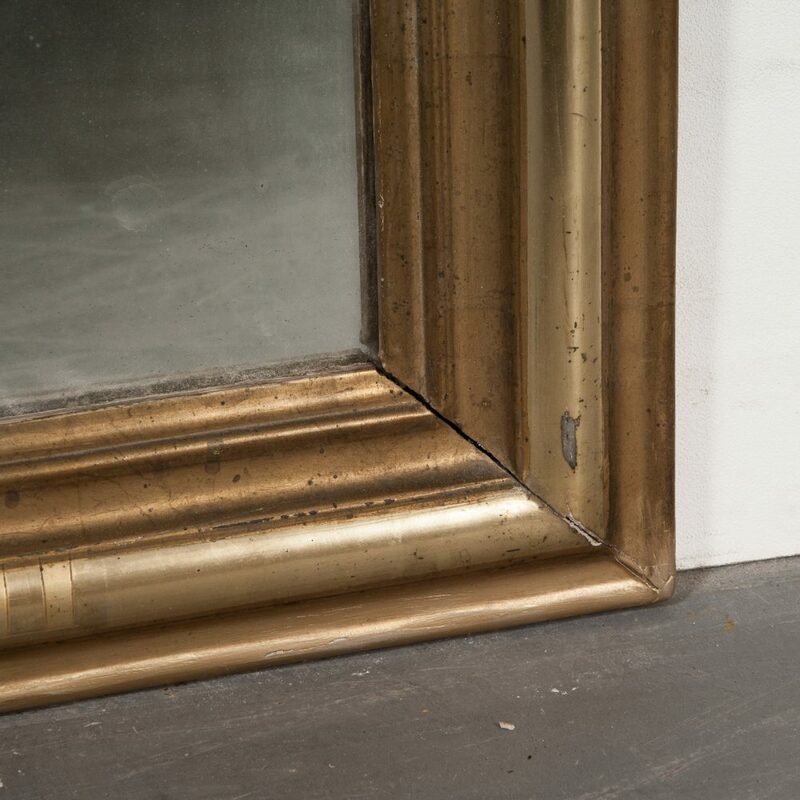 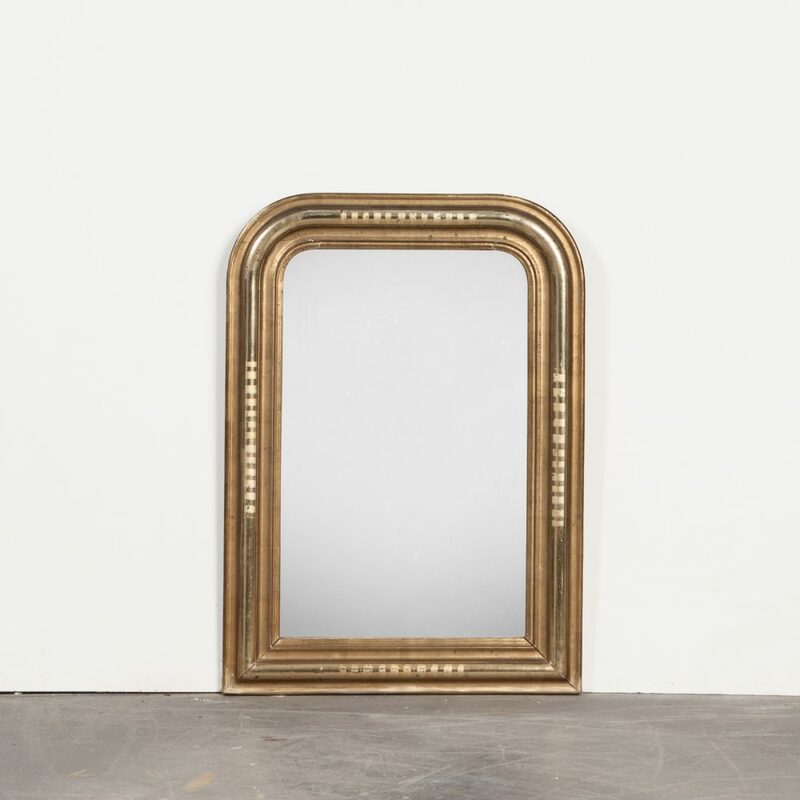 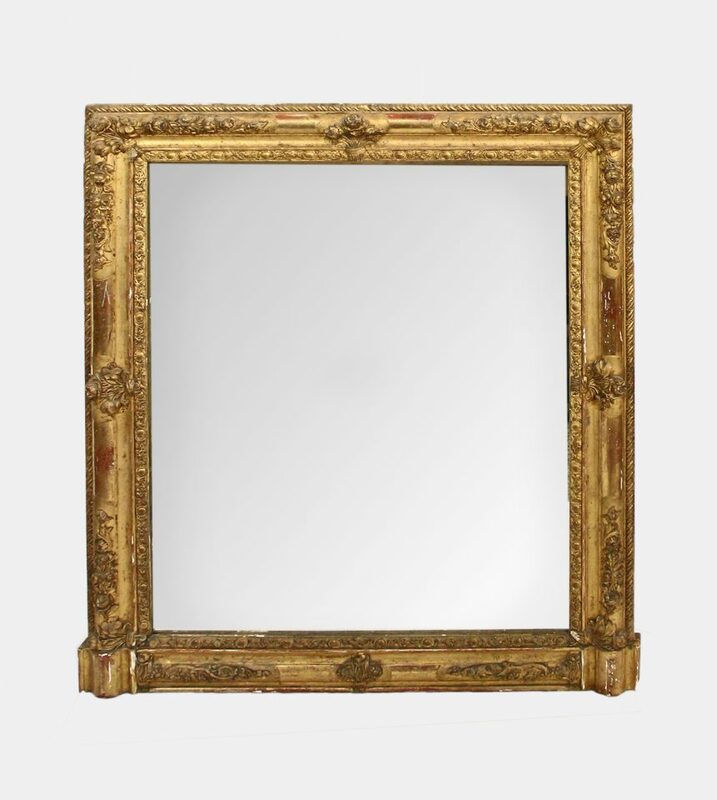 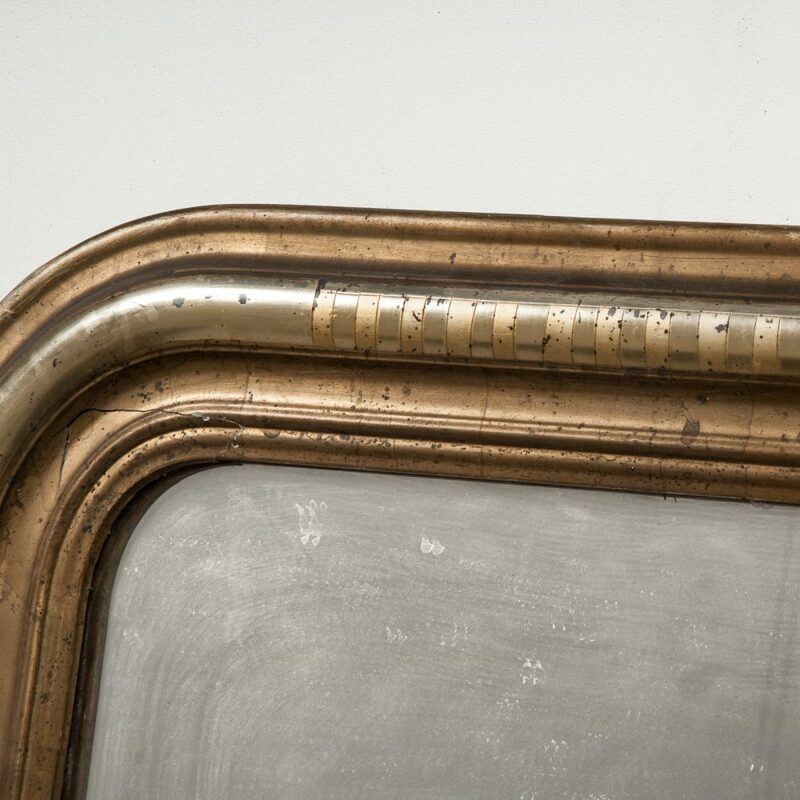 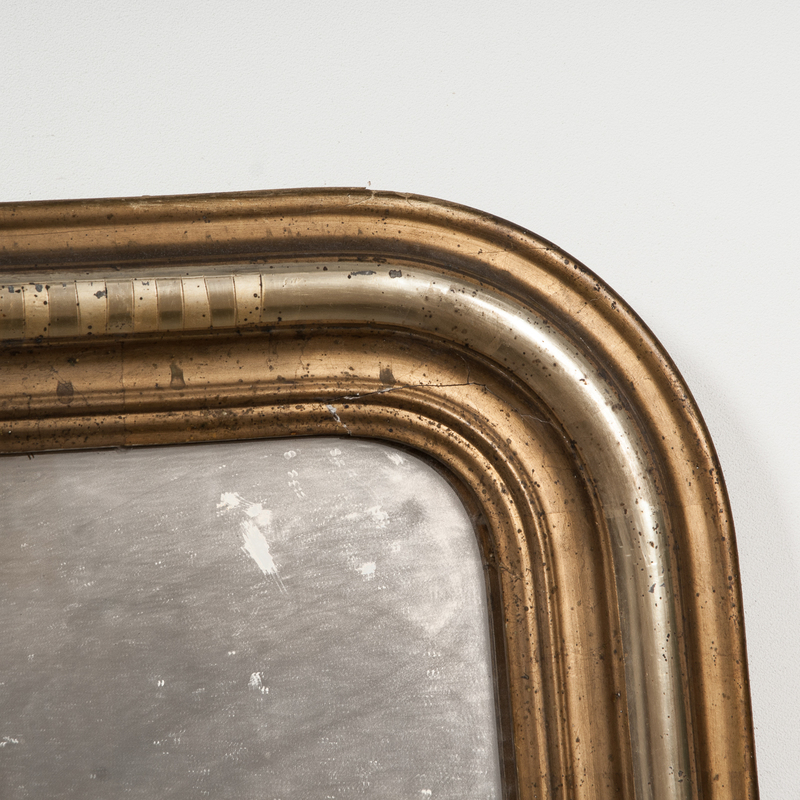 This French mirror has the typical rounded upper corners that make it a Louis Philippe mirror. 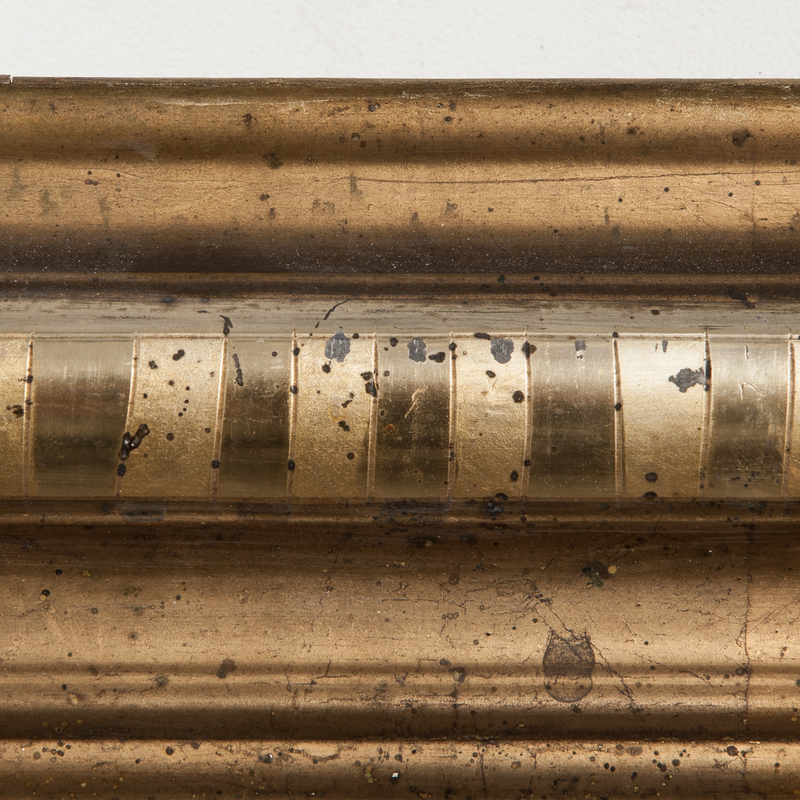 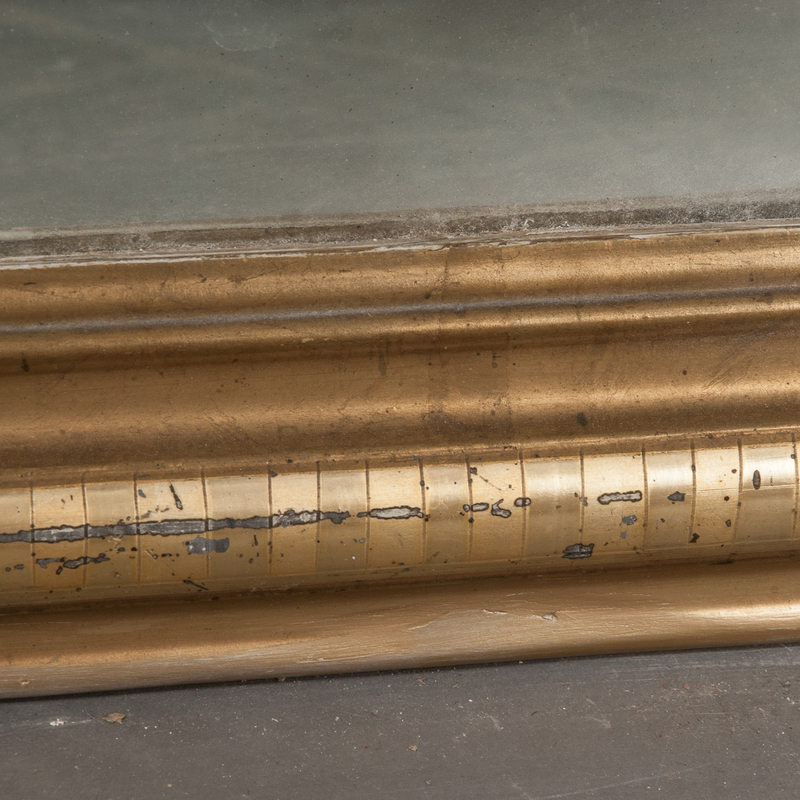 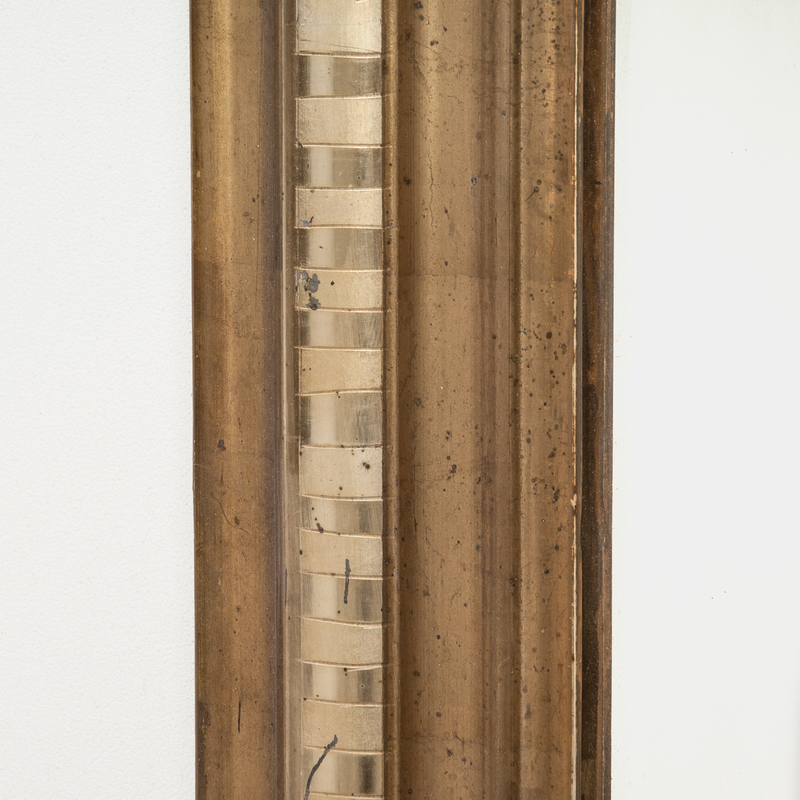 It is completely gold leaf gilt and has simple engraved stripes. 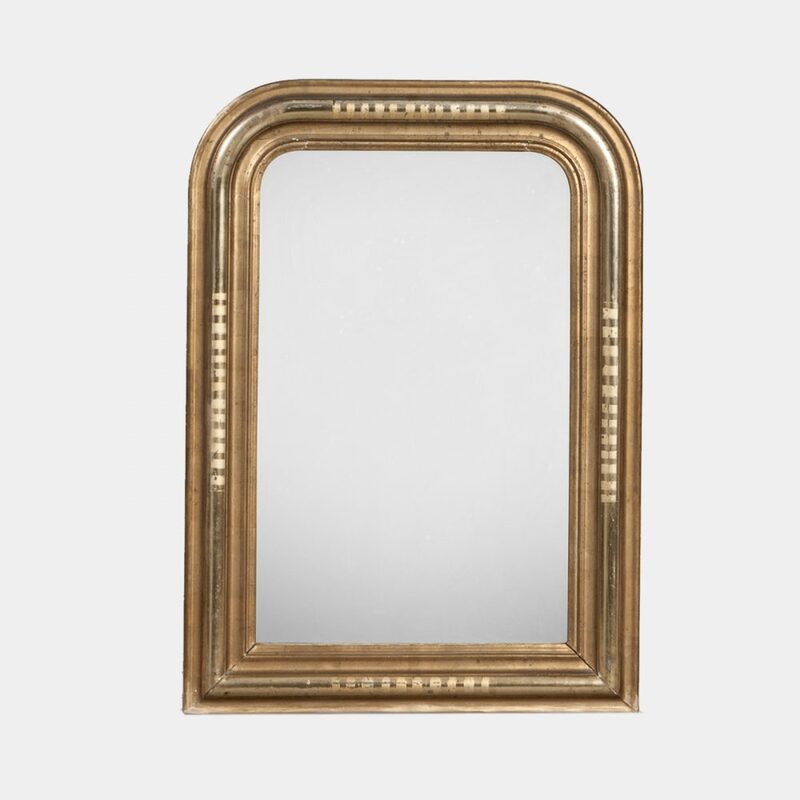 The glass is authentic to the mirror and has some small spots, age appropriate wear. 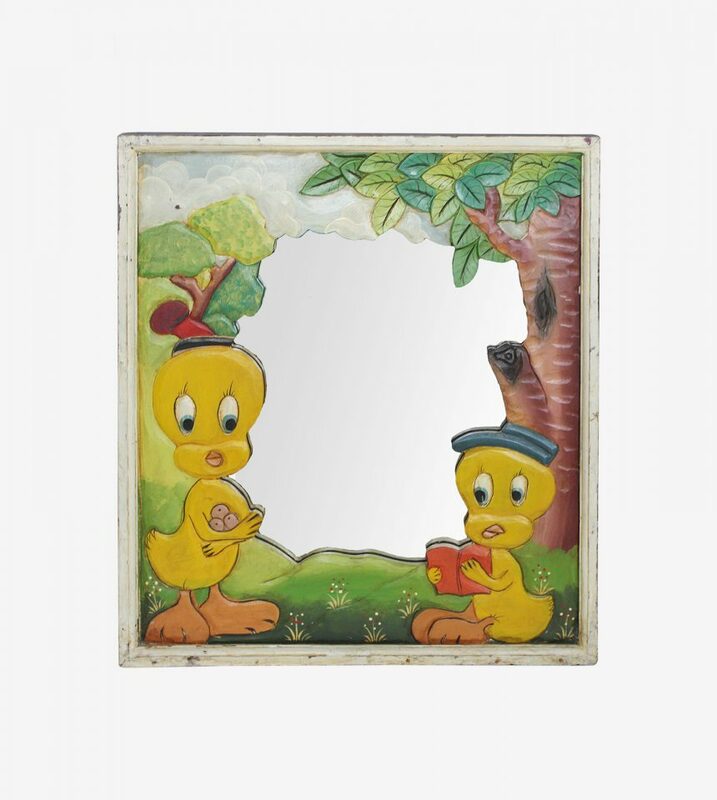 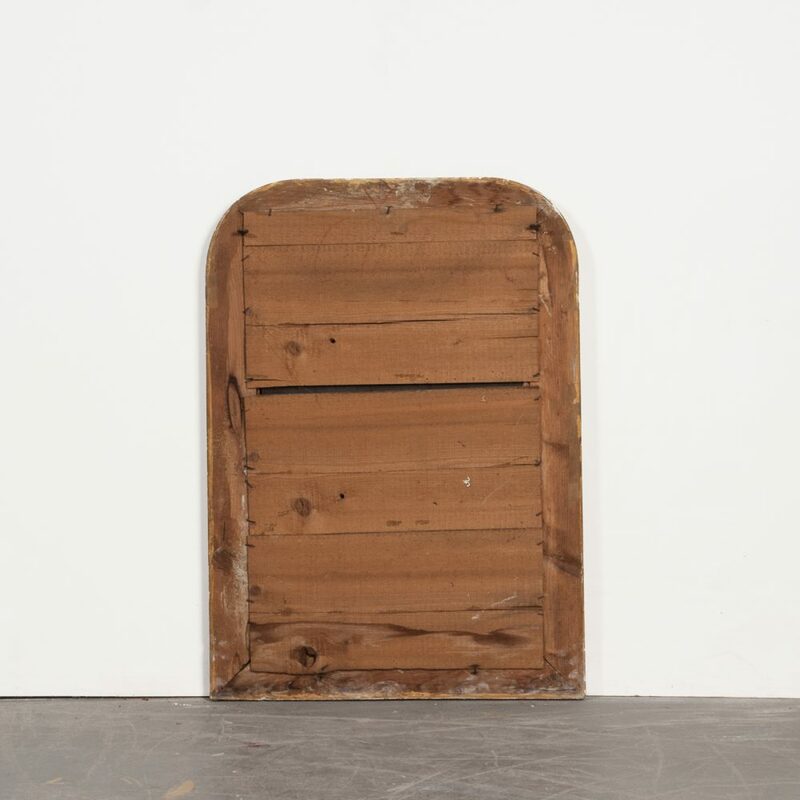 The mirror also has its original pine back cladding. H: 85 cm. W: 59 cm.